With spring in the air, and the impending summer months around the corner, there's no better time to share some exterior space concepts that have me inspired! So much depth and texture packed in this minimal patio design. 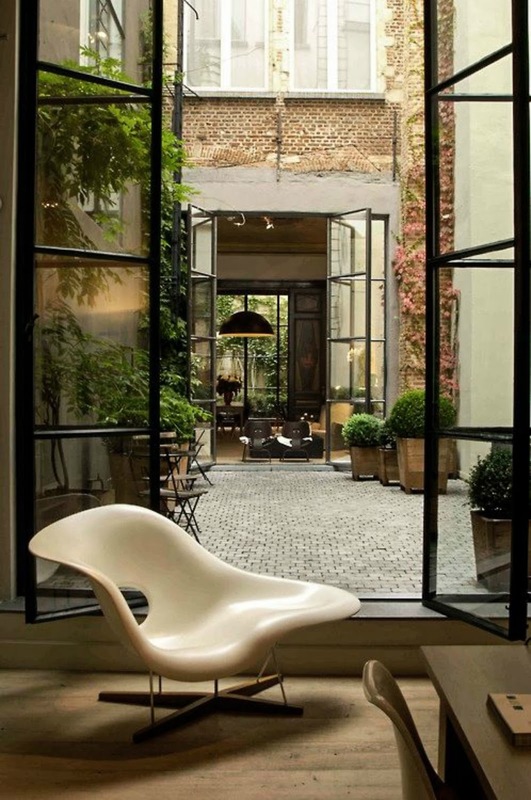 Love the black-framed doors, stone courtyard floors, and wooden-container-potted green plants! How cool would it be to have an outdoor movie theater? I found this DIY tutorial if you're interested in building one. 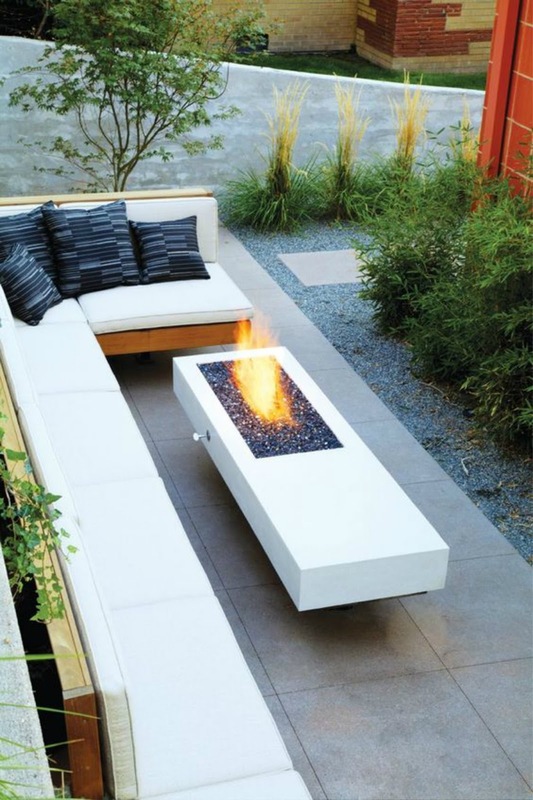 Built-in bench seating around the fire pit - the perfect setting to enjoy a beautiful evening outdoors! 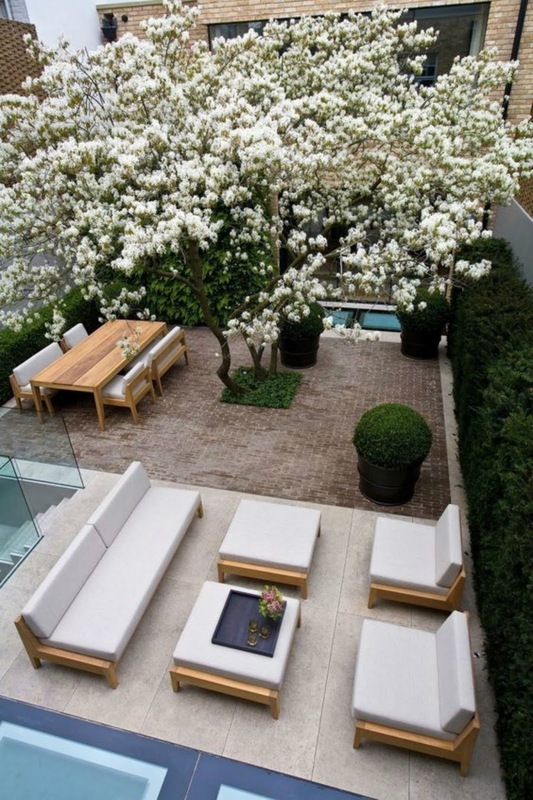 I love the modern details of this outdoor patio design that doesn't require a lot of space. This outdoor layout spoke to me since we have a (fig) tree located dab smack in the middle of a section in our backyard. I love how this space was designed around a tree, while having designated vignettes serve different functions! Who needs chairs?! 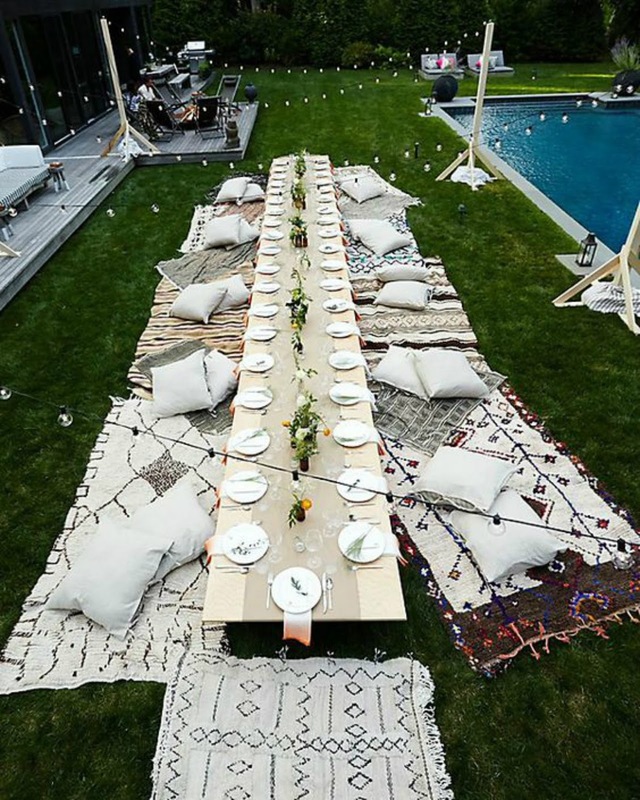 Love this modern bohemian take on an outdoor dining area that can fit plenty of people around the table - as long as you don't mind taking a seat on the textile-covered grass! Comfy pillows/cushions layered on rugs or blankets are the perfect (inexpensive) stand-in for actual chairs. 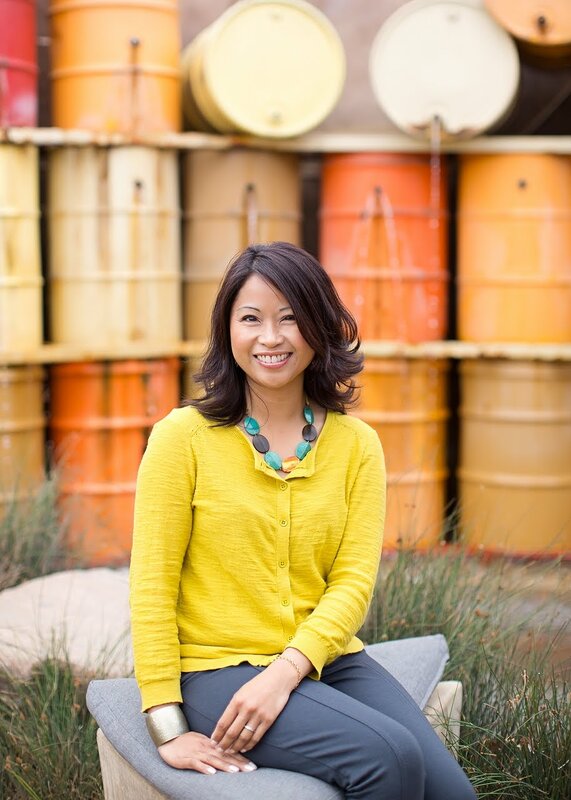 Here's to enjoying great outdoor living in hopefully beautiful spring and summer weather no matter where you live! I would love to have an outdoor area like the 3rd picture. Cool fire pit! Thank you! Love that fire pit too. The patio at the top, speaks to my heart and my aesthetic. I could spend many hours there, having coffee and enjoying the old south European backyard feel.